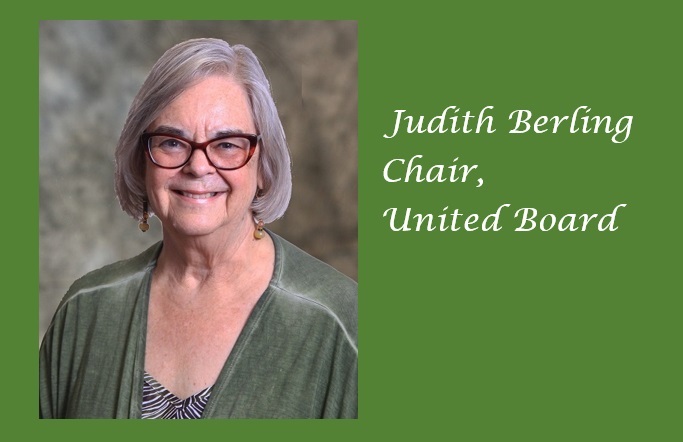 Dr. Judith Berling, professor emerita of Chinese and comparative religions at the Graduate Theological Union in Berkeley, California, became chair of the United Board on July 1, 2018. 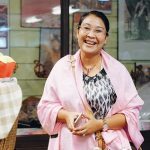 In the interview below, she reflects upon her career, her United Board service, and how the United Board can best support higher education in Asia. What have you found most engaging or fulfilling in your career as an educator and scholar? First, I have been very fortunate to have been a scholar and teacher at a particularly exciting moment in history. 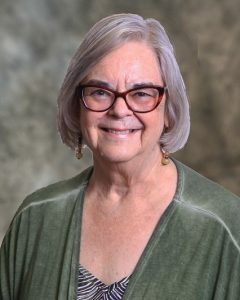 I entered college in 1963, and from the very beginning of my studies the intellectual world was exploding with new theories and approaches that included voices that had been previously excluded: voices of women, of color and of indigenous peoples, postcolonial voices, voices from the “underside” of social history and religion. My three primary disciplines (religion, history, and anthropology) and my secondary disciplines (education and pedagogy) have all undergone radical changes. I have been learning and unlearning all of my career; it has been an exhilarating ride. Second, I have been fortunate to teach in two very different environments: Indiana University, with its large undergraduate population representing a broad range of socio-economic backgrounds, and Graduate Theological Union in Berkeley, with its diverse graduate student population from many ethnicities, cultures, and religions (not to mention sexual orientations). Given my interest in interdisciplinary research, I was fortunate to teach many of the most creative, outside-the-box thinkers, which constantly stretched my imagination and kept me from ever being “settled” in my views. Third, my greatest joy has been in mentoring students, helping them to find their distinctive voices and creativities by listening very carefully for what they were trying to say. You first joined the Board of Trustees in 2002. What are some of the changes you have observed in the United Board and its approach to higher education in Asia over that time period? The United Board and its work have evolved very positively since I joined the board. I was recruited in part to support the Board’s efforts of Asianization: increasing the number and effectiveness of our Asian trustees and positioning ourselves to learn about issues in Asia from people on the ground there, which eventuated in establishing our Program Office in Hong Kong. The process of Asianization was not always easy, as it involved changing longstanding patterns of thinking and activity which had emanated from and centered in New York; it also entailed working through diverse visions of Asianization from our Asian trustees. Asianization is an ongoing process, never “complete.” We learn more about what it means as we continue down the path. A third development has been to move gradually from being almost exclusively a grant-making organization to developing programs that would strengthen higher education in Asia through strengthening institutional leaders and leadership, through faculty development, through pedagogical training, and through helping institutions to develop their institutional resources and their educational uses of technology. Finally, after reflection on the stresses on and developments in higher education in Asia, we have clarified our mission as supporting whole person education, as opposed to narrowly vocational or technical education. The pressures of massification, government economic goals for education, the international ranking systems, and competition for government support have threatened the values and pedagogies at the core of the excellence of Christian higher education. In cultures where Christian schools are either legally banned or under extreme pressure, the principles of whole person education help schools to make the case for their distinctive contribution to society. Christian schools and other institutions dedicated to “liberal education” need to share best practices if they are to thrive in today’s educational environment. The United Board will celebrate its centennial in 2022. How can a 100-year old institution like the United Board be of service in the fast-changing environment of Asian higher education? The United Board has in the past one hundred years been faithful to its longstanding values, but it has had to be flexible and resilient about supporting those values in radically changing environments. 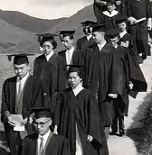 When we were banned from the PRC, we continued our work in Taiwan, Hong Kong, and the Philippines, eventually expanding to other countries in Asia, and finally returning to China to work with secular institutions who shared our educational values. As we approach the centennial, we will need to be even more flexible and resilient, particularly as we seek to support educational approaches that some see as counter-cultural, or at least against the grain of powerful forces, and we do this with a very small staff. We will need to be even more effective in creating and maintaining networks both within and across regions of Asia. We will need to be cost- and time-effective by making the best use of technology to maintain these networks and to deliver programs to diverse regions of Asia. With Asian societies rapidly developing and changing, we will need to extend and deepen our learning “on the ground” by making strategic use of consultants and experts. Because the needs are greater than we can reach with our staff and resources, we will seek as much as possible to “train the trainers,” to help those who benefit from our programs to return to their contexts to train their own colleagues. We also seek to increase our impact by finding new and effective ways to sponsor conversations of leaders in whole person education, platforms to share pedagogical strategies, and grants or awards to lift up and publicize excellent models from which others can learn. In short, we wish to do what we have been doing, only better and with more impact, making full use of our networks of extraordinary leaders in Asian higher education.